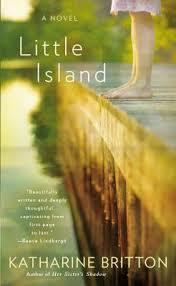 One (or more) Sentence Summary: I absolutely loved Little Island. The characters make the book. Joy, I didn't get her in the beginning but as the story is told and things are revealed to us (I am trying to not spoil it for you), her "oddness" to me in the beginning made sense. I really grew to love her. I thought Roger was a "loser" in the beginning of the book. Too many problems and the black sheep of the Little Family. Boy, was I wrong. His place in the family made so much sense once we really know him. Tamar was the person that blew me away. She needed so much help and in the end realizes all her past mistakes. Of course there is Grace and Gar who I adored. At times I thought they were both crazy, but they still really have their wits about them. So many family dynamics (and skeletons in the closets!) that all come together so well. Of course, I love the setting in Maine (and on an island). My husband is from Maine and I went to graduate school in Maine. Favorite Character(s): Joy is one of my favorite characters, but I also had a soft spot for Roger and Tamar. Setting: An island in Maine (what a great setting....I so loved it). Fast read/slow read: Very fast. I always wanted to read the next chapter...even when I was late to work. Cover: So, so perfect. It makes so much sense when you read the book. It also screams summer! Would I Read Other Books by the Author: Yes! I have read Her Sister's Shadow (click here for review) and I just received Vanishing Time! Katharine Britton teaches at the Institute of Lifelong Education at Dartmouth College, the Writer’s Barn in Shelburne and the Writer’s Center in White River, Vermont. She has written three screenplays, one of which is a Moondance International Film Festival winner, and has a master’s degree in creative writing from Dartmouth College. 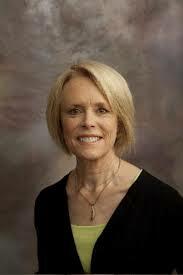 She is the author of one previous novel, Her Sister’s Shadow, and lives in Vermont.